“Is there honey still for tea?”* There is if you go to the Ritz Carlton Hong Kong before the end of July . 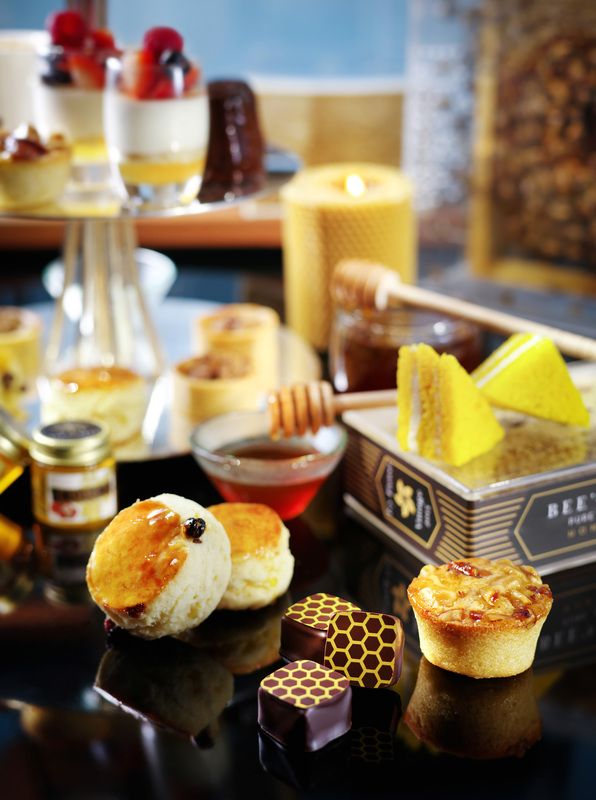 The hotel’s Lounge & Bar is offering a Honey Bee Afternoon Tea in collaboration with Bee’s Nest, the only honey maker on Hong Kong island. Among the teatime treats are traditional scones served with clotted cream and raw honey and a nod to Hong Kong with steamed milk custard topped with honey jelly – a twist on the traditional Cantonese dessert. 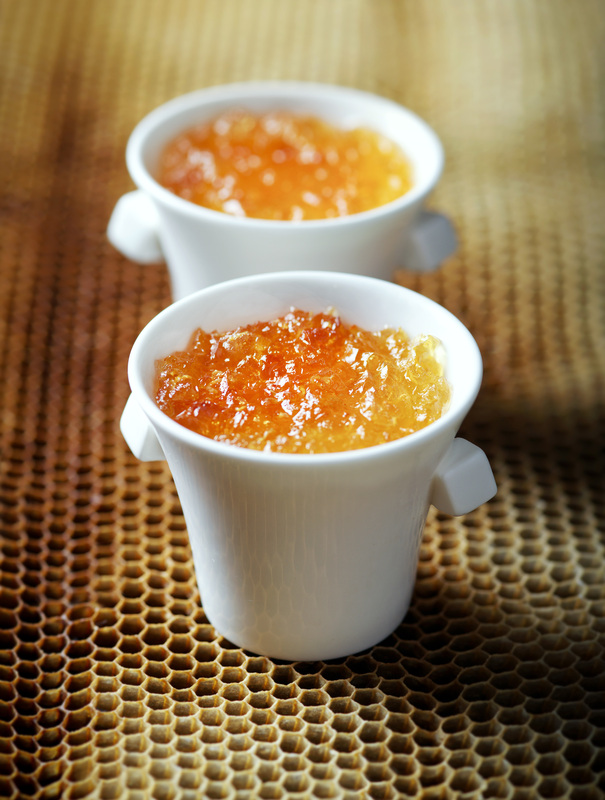 The honey is the first batch produced by the hotel’s beehive at Bee’s Nest farm in Tai Tam reservoir. In keeping with the Ritz Carlton group’s quest to support local businesses and environmental issues, the hotel has adopted a beehive there. Tours with one of the founders – Hong Kong beekeeper Gordon Yan and chefs Cedric Alexandra (previously of TWG) and Patrick H Zepho (ex Roka) – can be arranged for hotel guests. Having set up Bee’s Nest three years ago, the team now has 100 hives and is expanding to 500 next season. As well as being organic (currently the only certified organic honey in Hong Kong) their nectar is mono-floral. Bees at their apiary pollinate from a single flower rather than several, resulting in a more intense taste and aroma. Bee’s Nest’s colony feast on three types of flowering plant: ivy – an evergreen tree native to Hong Kong from which a medium coloured and fragrant honey is produced, longan (which results in a dark coloured, very sweet tasting honey) and lychee (light coloured and tangy in flavour). Pastry chef Richard Long has used the longan honey to glaze walnuts on top of mini blue cheese tarts as well as adding it to dark chocolate pralines as he says the fruitiness works well with the richness of both. 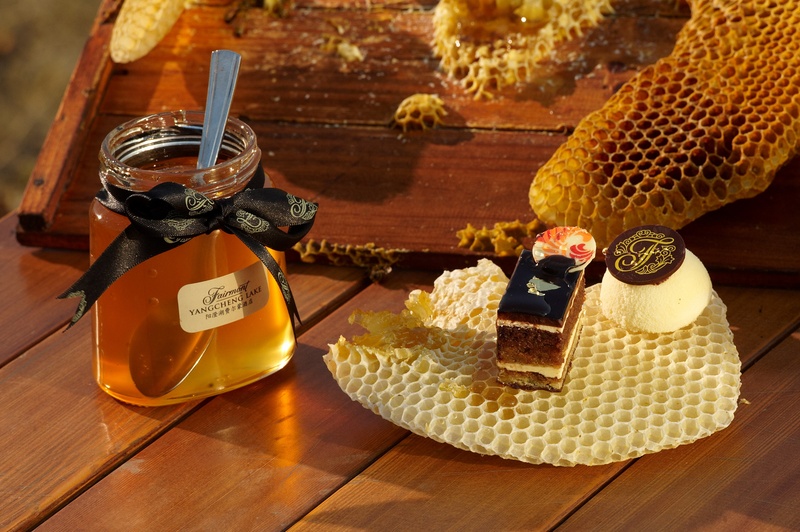 The ivy flower honey features in a custard filling for Bee Sting Cake – created by executive chef Peter Find as the sponge is a speciality of his homeland Germany and the ivy honey a taste of Hong Kong. “Our location in Tai Tam reservoir has an abundance of ivy trees so it’s very difficult for other bee farms in Hong Kong to produce a winter ivy honey as distinctive as ours,” says Patrick Zepho. Beekeeping is creating a buzz in hotels throughout Asia. The Ritz Carlton Hong Kong plans to keep honey harvested from its adopted hive on the menu for either breakfast, or the lunch and dinner buffets on a continual basis. And The Intercontinental has reintroduced its rooftop beehives. Following on from two years ago when unfortunately the bees did not survive the cold winter and heavy rains, three new beehives have been installed. “This time we are using a bee farming concept with planter boxes where the bees can pollinate rather than the bees needing to fly within a 5 km radius for food as they did last time,” says a spokeswoman for the Intercontinental Hong Kong which is working in conjunction with the Beekeeper Association of Hong Kong. The hotel has also set up nine hives at its own garden within the New Life Farm in the New Territories. First harvest of the rooftop honey is expected at the end of this month [June] and there are plans to incorporate both honey batches in some way in the hotel’s F&B outlets from September. The countryside of northern Thailand also provides rich pickings for bees and subsequently honey making. The Four Seasons Chiang Mai has an impressive selection of locally produced honey on its breakfast buffet. “Our honey is not bought in bulk from industrial distributors but hand created by local beekeeping tribes in the surrounding forests, using a distinct species of regional bees,” says a Four Seasons spokesman. 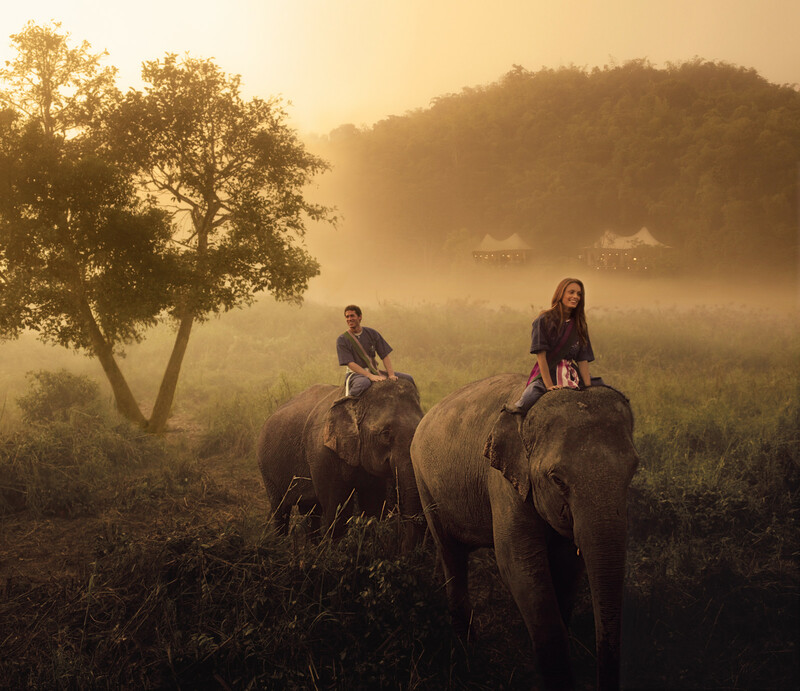 By sourcing honey this way, the Four Seasons is also helping ensure the tribes’ trade stays alive. Depending on the time of year, the honey bears the flavour of flowering plants in the area such as rambutan, sunflower, sesame, sabsua, longan or lychee. 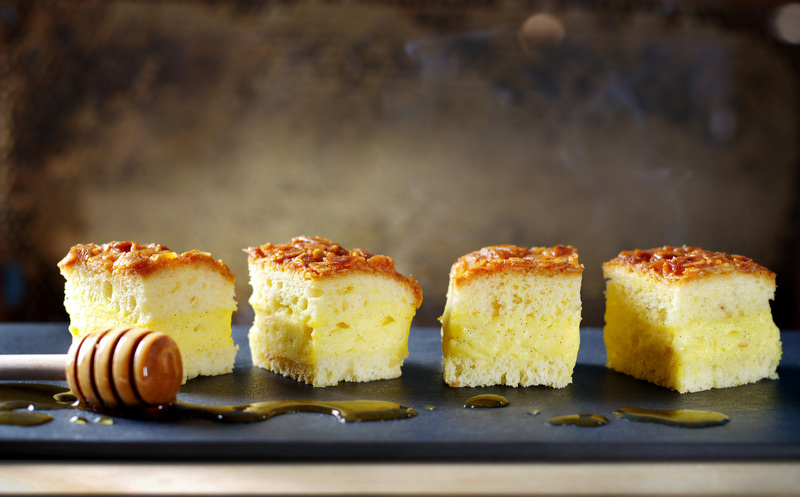 “Our selection is based on seasonal availability with the honey being brought fresh from the farm to the resort,” say executive chef Stephane Calvet. 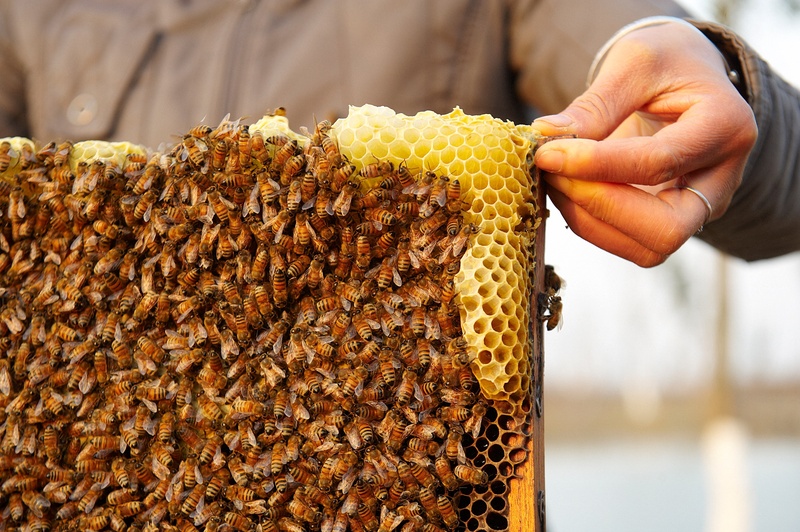 The Fairmont hotel group has developed a Honey Bee sustainability programme, designating some properties Honey Bee Hotels including two in China, to both help the environment and provide honey for its guests. 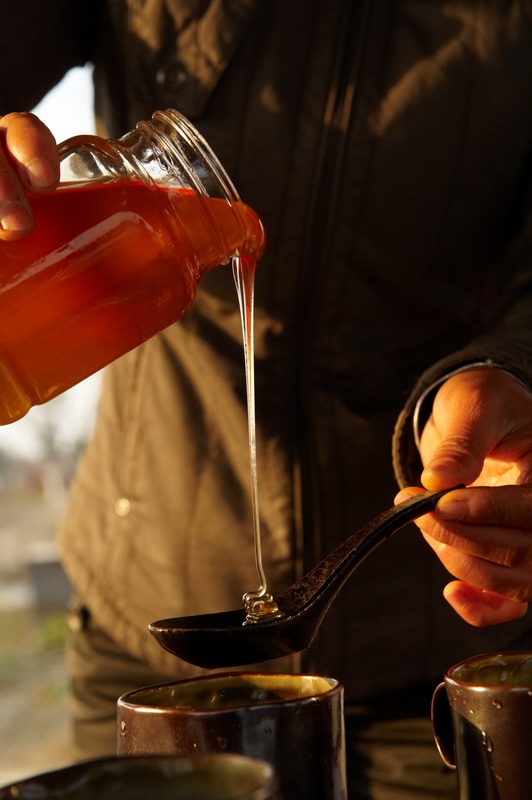 The Fairmont Beijing purchases honey from Shangrila Farms which has apiaries in Yunnan province and teaches locals in rural villages the skill of beekeeping. 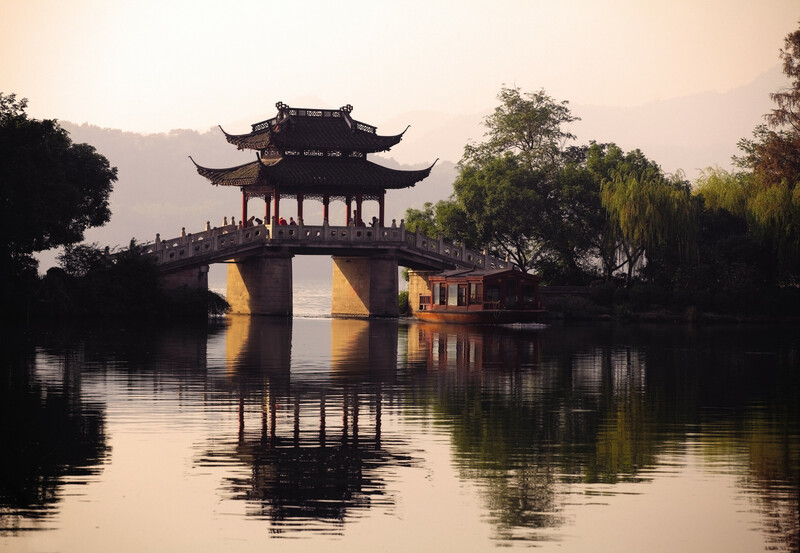 At the Fairmont Yangcheng Lake in Kunshan beehives have been installed on the hotel’s namesake lake. The hives are tended by a local, highly experienced beekeeper whose brought in wild bees from the West Mount in nearby Suzhou. The 2,500 bees thrive on the hotel’s 200 acre organic and vegetable garden. In good weather conditions, they can produce up to 50 kg of honey a day in peak season which is used in desserts and entrees at the hotel’s restaurants and also bottled for sale. The hotel’s pastry team has created a version of the local Steamed Rice Cake, made without sugar, and served warm with Osmanthus honey. “It really is heavenly for afternoon tea,” Cheng says. Sitting on top of an elephant, I look down over Thailand, Myanmar and Laos meeting at the Mekong river as the sun begins to rise. I’d ridden the gentle giant, called Thong Kam, up the mountain to watch dawn breaking over the Golden Triangle and now she’s taking a well deserved break and snacking on banana trees. Her foot effortless crushes the tree trunk into smithereens and she eats enthusiastically – it’s time for me to dismount and breakfast myself on fresh fruit and coffee the guide has set up for me. Something is stirring in Macau, the sleepy colonial backwater turned gaming mecca on the southern tip of the China mainland just a 40 minute ferry ride from Hong Kong. For amongst the glitz (and sometimes seediness) of the mammoth casinos and five star hotel complexes are some of the best restaurants and spas in the world. While Macau, as a former Portuguese colony, offers any number of rustic bistros that Portugal can be proud of, it’s the fine dining that’s attracting attention. 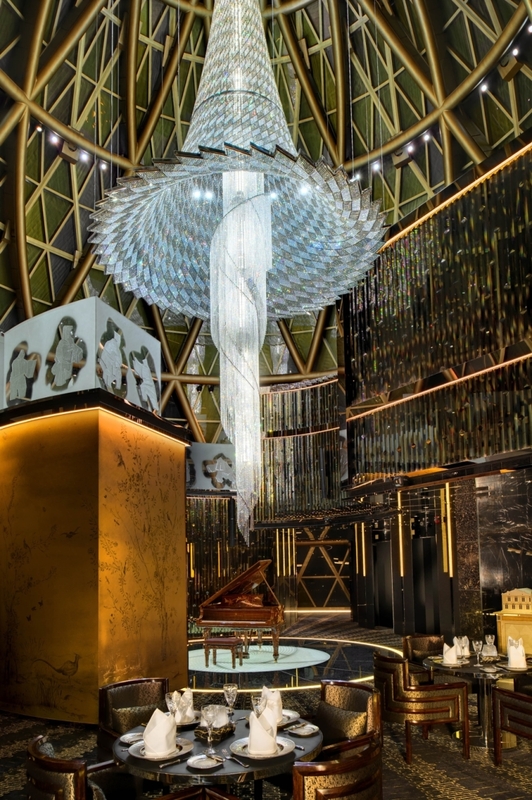 Joel Robuchon has a new outpost there in the colourful Grand Lisboa hotel on the Macau peninsula. 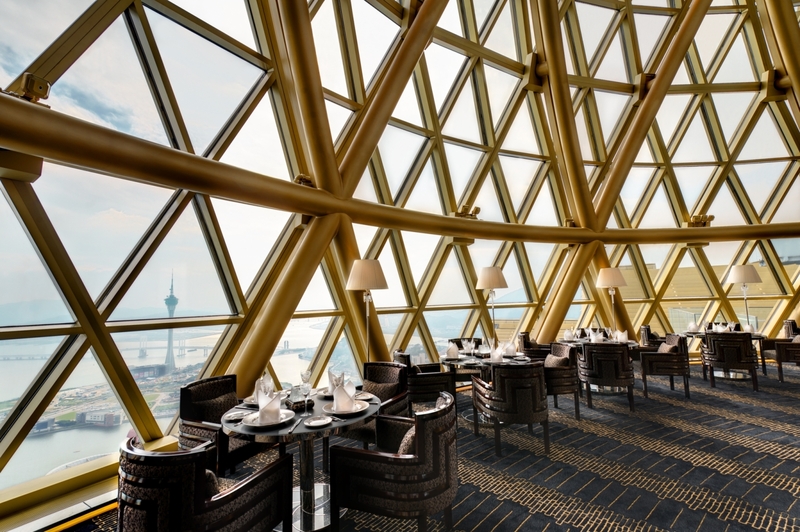 Newly unveiled as Robuchon au Dome – replacing Robuchon a Galera – the restaurant has just moved to an even flashier spot under the glass atrium at the top of the sky scraper hotel. With its Swarovski chandelier, Steinway piano and Baccarat crystal the place is almost a pastiche of a three Michelin starred restaurant (an honour it has secured four years running) but purists won’t be disappointed with the cooking. 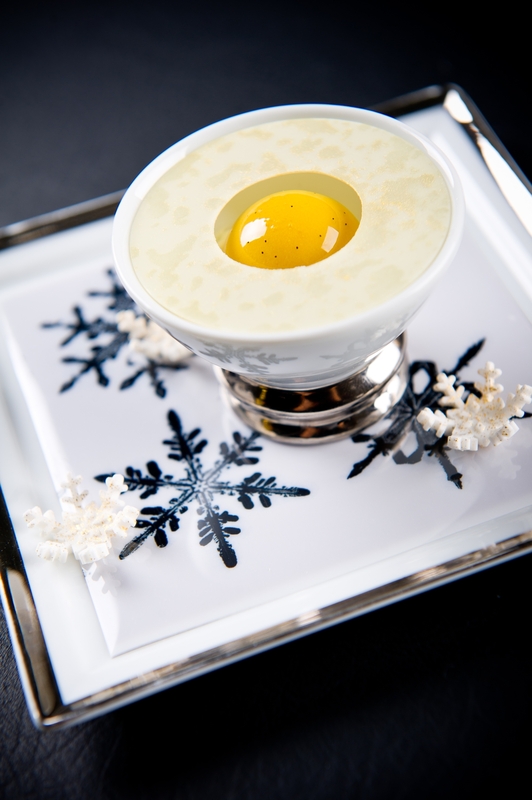 Under chef Francky Semblat [UPDATE: Chef Francky Semblat has been succeeded at Robuchon au Dome by Julien Tongourian] the bread and butter trollies and signature dishes such as caviar jelly with cauliflower cream all prevail. As well as new, Asian inspired creations. 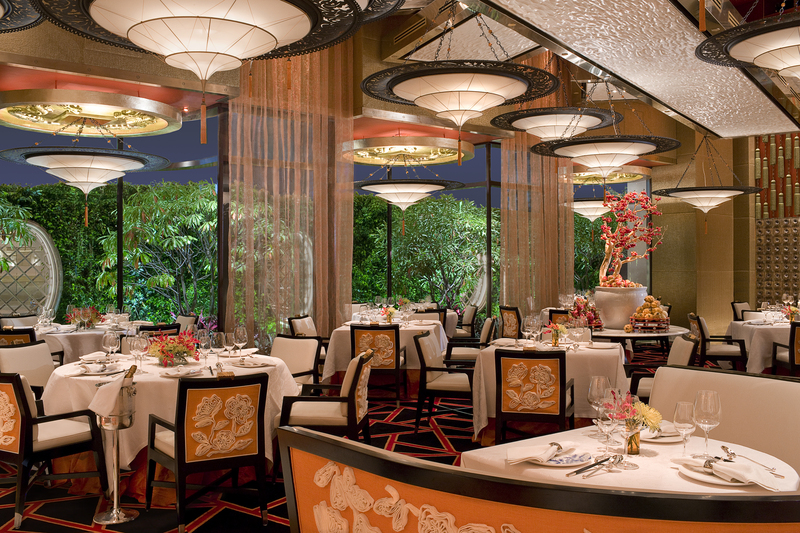 In Las Vegas – which Macau is often deemed an Asian version of – Robuchon sits alongside Thomas Keller and Nobu. Perhaps they will follow him to Macau but for now it’s the Chinese cuisine that really shines. Zin Yat Heen is one of a number of Cantonese restaurants with a deservingly high reputation. Tucked away within the Four Seasons on the Cotai Strip, a main drag for gaming and shopping, the two Michelin starred Zin Yat Heen is a tranquil haven away from the bling with laquered wall coverings and paper lanterns and a prominently displayed wine selection rather than the garish or downright dull décor that often comes with Cantonese dining rooms. Chef Ho Pui Yung, originally from Hong Kong the heartland of Cantonese, specialises in seafood and the freshest of top quality ingredients for his exemplary cuisine. Diners flock here for the crab claw stuffed with shrimp and the crispy chicken in particular. And there are other contenders gaining credence. 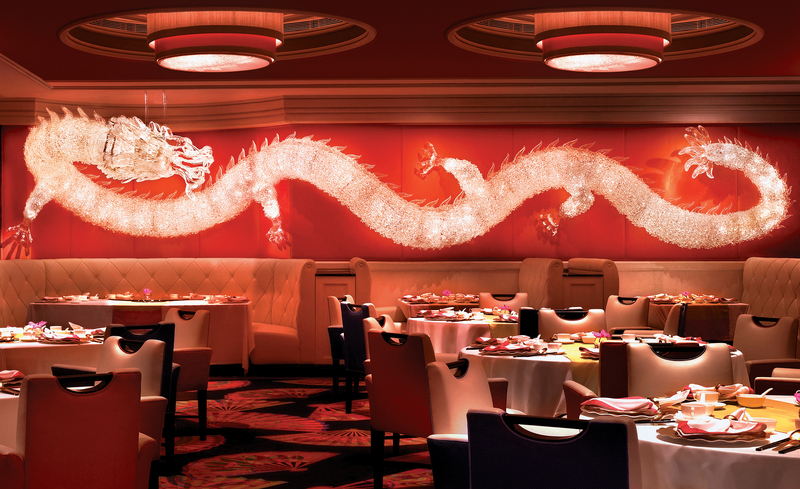 Over at the Wynn hotel back on the peninsula, fellow Cantonese restaurant Wing Lei has been elevated to two Michelin stars this year. Next door, Golden Flower at the Encore hotel has received its first star. 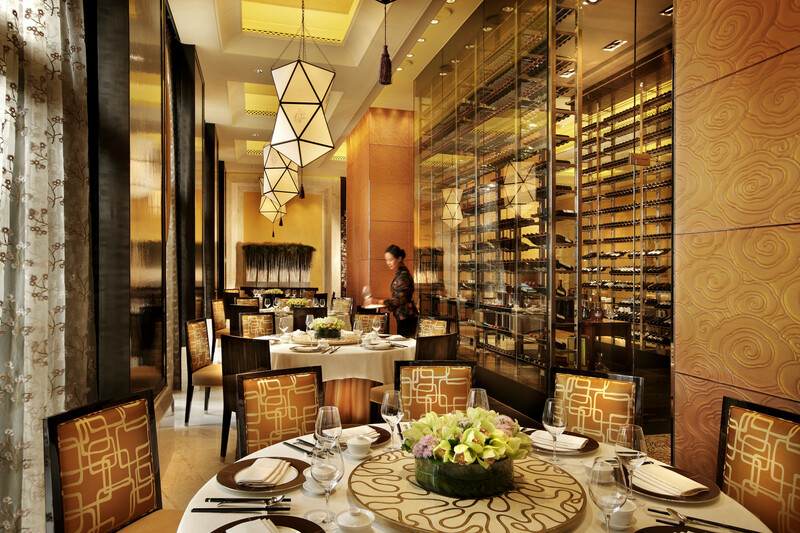 What differentiates the Golden Flower is its emphasis on the elite Tan cuisine; created in Beijing and defined by detailed preparation and subtle flavours. Chef Liu Guo Zhu who moved from Beijing to Macau bringing seven apprentices with him says, “Tan cuisine is an exclusive school of cooking and hard to understand because of the labour intensive cooking methods involved.” In reality, that means dishes such as stewed fish maw in a rich chicken broth. Tim’s Kitchen is another of the more interesting Michelin starred venues. Originally a private chef for HSBC executives, Tim Lai’s cooking is a sophisticated and contemporary take on Cantonese. Dishes such as simmered pomelo peel and goose meat roll practically have their own fan club. While the Hong Kong branch is a chi chi affair in trendy Sheung Wan, Tim’s Kitchen Macau is found incongruously inside the Hotel Lisboa in the heart of the peninsula’s gaming area. It’s no surprise that these fine dining establishments are housed within the casinos and hotels. Where the high rollers flock, it follows that high class restaurants will open. Though whether the gamblers are really interested in what they are eating is another matter. It’s not unheard of to see groups of women dining together while presumably their husbands are at tables of the gaming variety. At the Mandarin Oriental I saw a group of wives enjoying cocktails in the bar while at the hotel’s spa I saw a succession of well groomed young men. 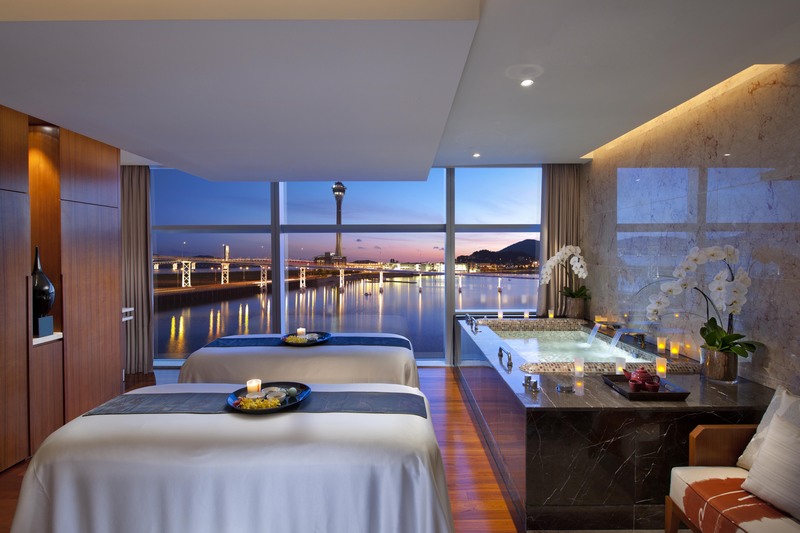 For spas are another draw for Macau – not just for WAGs but increasingly metrosexual mainland men (China is said to be the only country where men outspend women on beauty). As such the standards need to be high-roller high and many have scooped up awards. Whoever the customers are, and whatever their tastes, their presence will continue to feed the trend for more high quality restaurant openings. The latest, Guincho a Galera, is the first foreign foray for a Portuguese Michelin starred restaurant. So perhaps Portugal will be landing on the map in Macau again very soon. 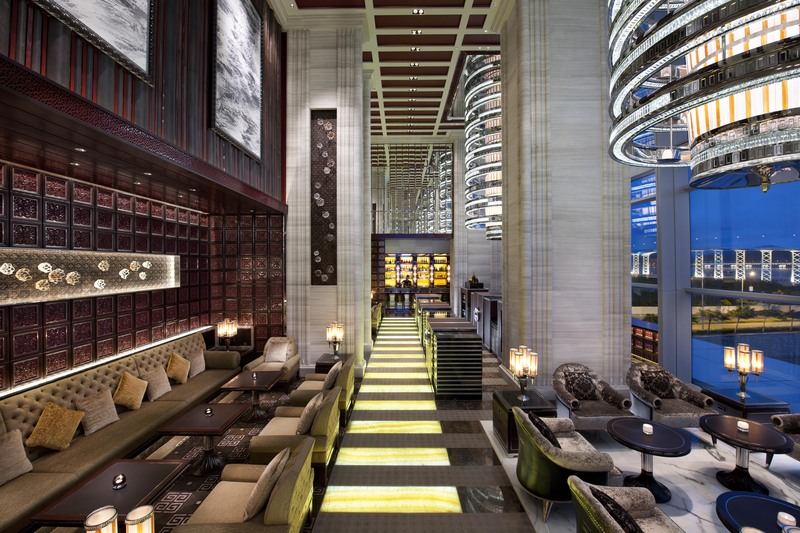 The Mandarin Oriental – mercifully free of bling, boutique sized and without a casino attached. The compact spa is in keeping with the intimate size of the hotel and makes much of its view of the peninsula. Voted best spa for men but definitely will appeal to women too. One of the largest spas in Macau, it has a botanical theme so really feels like an urban oasis in the middle of the mall madness. Large choice of treatments. Emphasis is on exclusivity with eight private treatment rooms featuring their own steam, sauna and hydrotherapy as well as dressing room. Incongruously located within the gargantuan Galaxy complex but including a massive spa. The Banyan Trees reputation for spas is huge and this one is no exception.